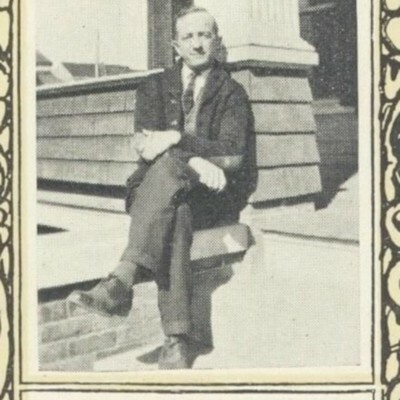 Kendall Charles Hickerson, or "Hick" as his friends called him, graduated from Virginia Polytechnic Institute in 1923. 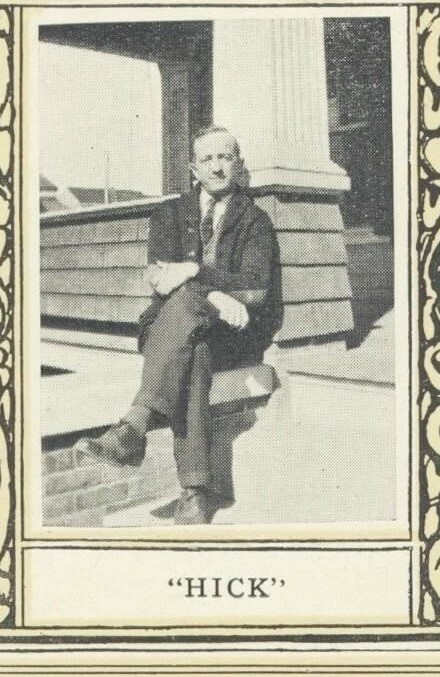 He was one of many World War I veterans who attended VPI after their military service. 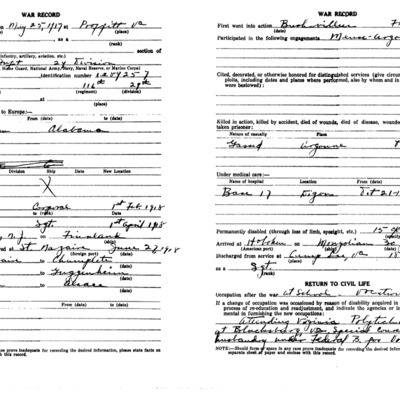 His ability to attend VPI and study Horticulture was facilitated by the 1918 Smith-Sears Veterans Rehabilitation Act, administrated by the Federal Board of Vocational Education. The Smith-Sears Rehabilitation Act provided vocational rehabilitation and civil employment for veterans with disabilities who had been discharged from the United States military. 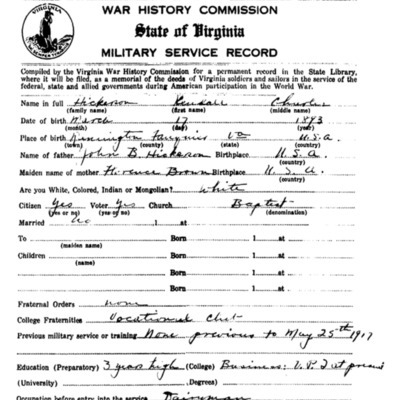 In May 1917 Hickerson left his home in Remington, Virginia where he was the local dairyman to enlist, serving in Company K, 116th Infantry, 29th Division during the war, and rose quickly from the rank of Private to Sergeant. On October 20, 1918, during the Meuse-Argonne Offensive, as his company was attacking through the Montagne woods near Moleville Farm Hickerson was seriously gassed. From October 20 to Christmas Day Hickerson remained in an Army hospital recovering. Unfortunately Hickerson never recovered fully, spending the rest of his life completely blind in one eye and with impaired vision in the other. 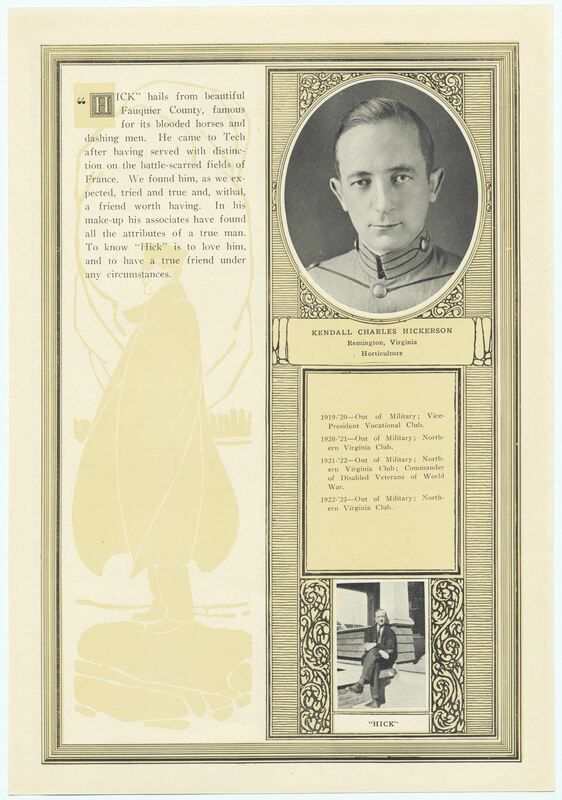 While a student at VPI he served as Commander of Disabled Veterans of the World War and opted out of the Corps of Cadets. 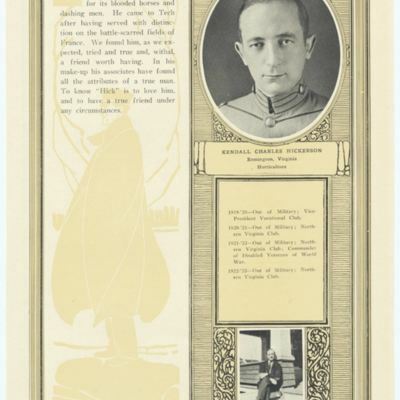 As Hickerson wrote, he was "willing to volunteer for the past emergency [World War I] and will do likewise if needed in the future. But I am opposed to military training in times of peace." Kendall Hickerson died on June 23, 1956 and is buried in Arlington National Cemetery. 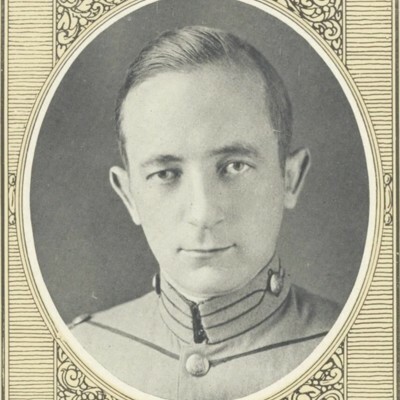 The 1923 VPI Bugle states that Kendall "served with distinction on the battle-scarred fields of France" and that he served as a Commander of Disabled Veterans of the World War. 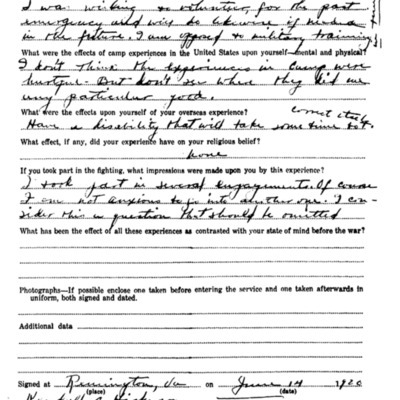 When asked if he took part in the fighting, what impressions were made upon him by this experience he wrote on his War Questionairre that "I took part in several engagements. Of course I am not anxious to to go into another one. I consider this a question that should be ommitted." When asked what effects upon yourself was your overseas expeirence, he answered "Have a disability that will take some time to calm itself." Attened VPI due to the 1918 Smith-Sears Veterans Rehabilitation Act (administrated by the Federal Board of Vocational Education) which provided vocational rehabilitation and civil employment of people with disabilities who had been charged from the U.S. military. 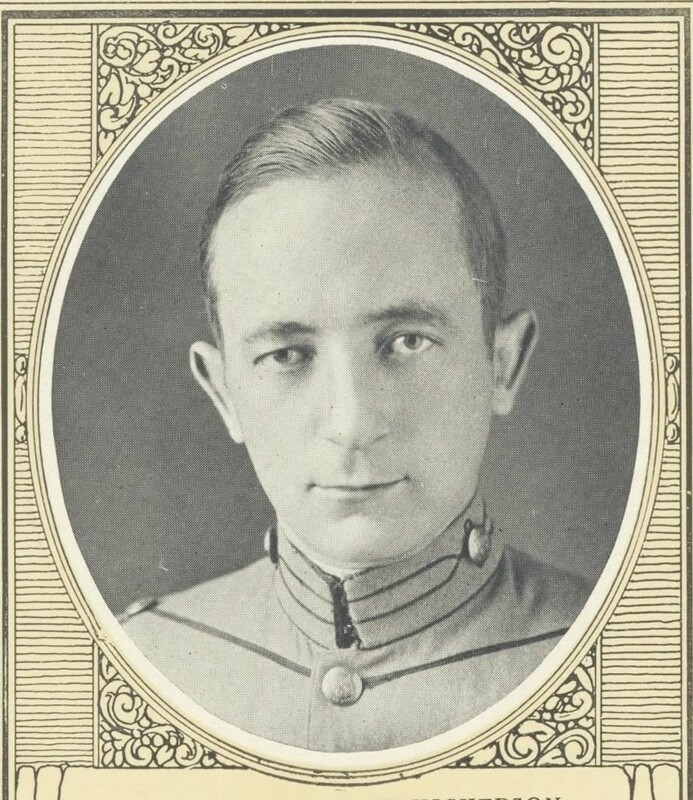 “Hickerson, Kendall Charles,” VPI in World War I, accessed April 19, 2019, http://vpiworldwarone.lib.vt.edu/items/show/1122. Generously supported by the Virginia Tech Department of History and Virginia Tech University Libraries.